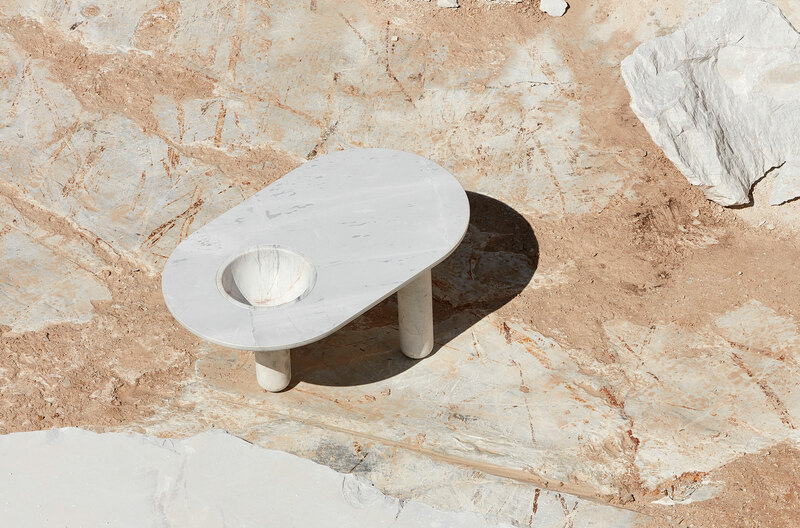 While built from simple forms, Bacchus is a table thats intended to spark curiosity. 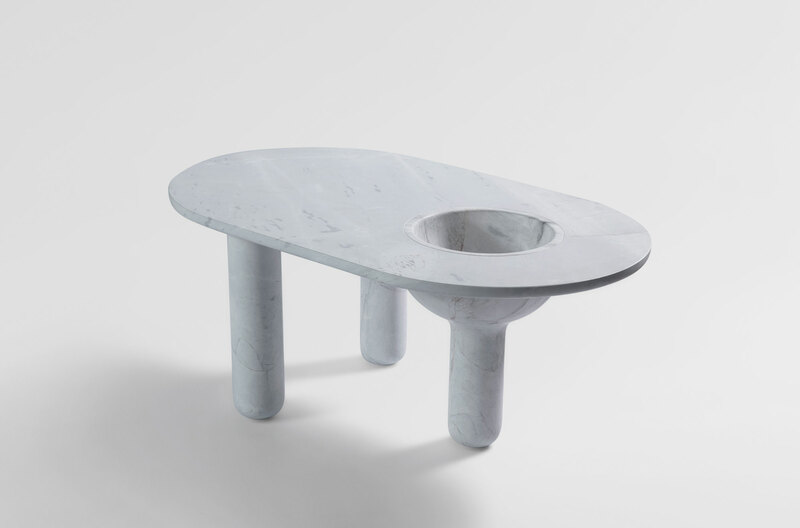 Comprising three legs, minimal oval top and hollowed bowl cavity, each form unites to create a centrepiece encouraging you to style it in a way that fits your function and curiosity. 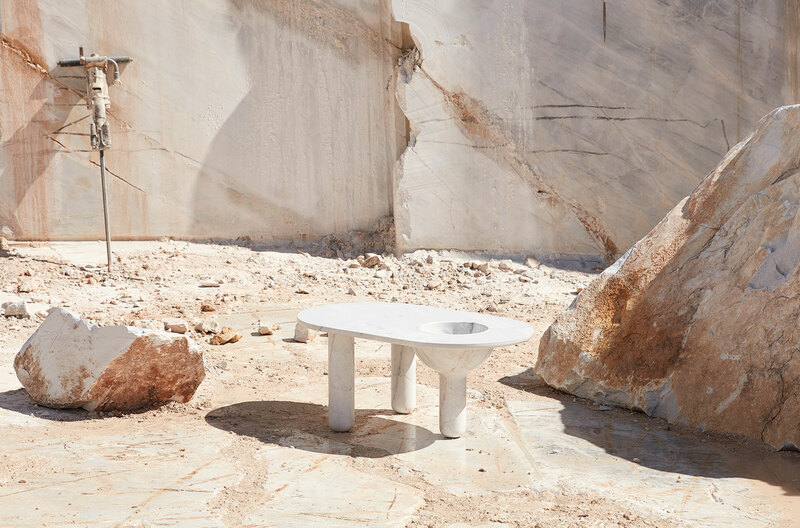 Exaggerated proportions and the weight of each element grounds the table, giving it a permanent place in its environment.